Today I got this gift in the mail from Yaya that I thought was pretty amazing. 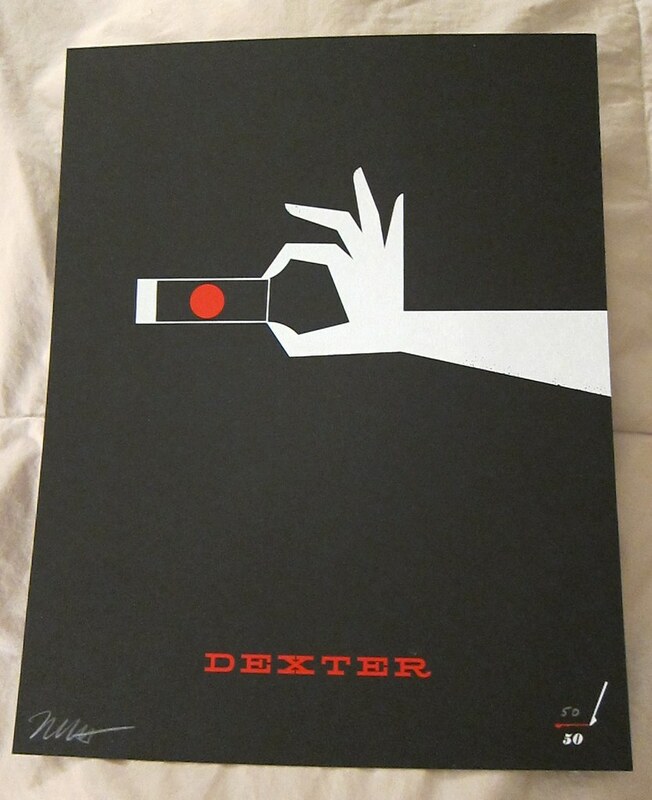 It’s a hand-signed limited edition screen print of a Dexter illustration by artist Ty Mattson. Apparently there were only 50 prints made and I was lucky enough to get the 50th one! Wow, if you are a fan of Dexter or electronic music you will love this. This is a song done by an artist named Pogo made entirely of samples from Dexter. Surprisingly the song itself is totally listenable and I would like it even if I weren’t a fan of Dexter.